What's really going to happen? The Walking Dead did the unthinkable by promising to kill off a character who’s been around since the very beginning. But don’t worry, Daryl is safe — for now. The latest Walking Dead episode offered up its fair share of surprises as the promised “all out war” continued, with the most notable being the big reveal that Carl Grimes was, at some point, bitten by a Walker. By the episode’s end, he lifted up his shirt to reveal the bite mark, which means that his days are numbered. That means he’ll die within a relatively short amount of screentime on the show and turn into a Walker himself sooner rather than later. It explains why he was so brave throughout the episode, executing his plan to save his comrades and volunteering to sacrifice his life to Negan’s bat if it meant saving all of his friends. But given that and the rest of what happened on Sunday night’s episode, here are a few theories about what the rest of the season has in store. 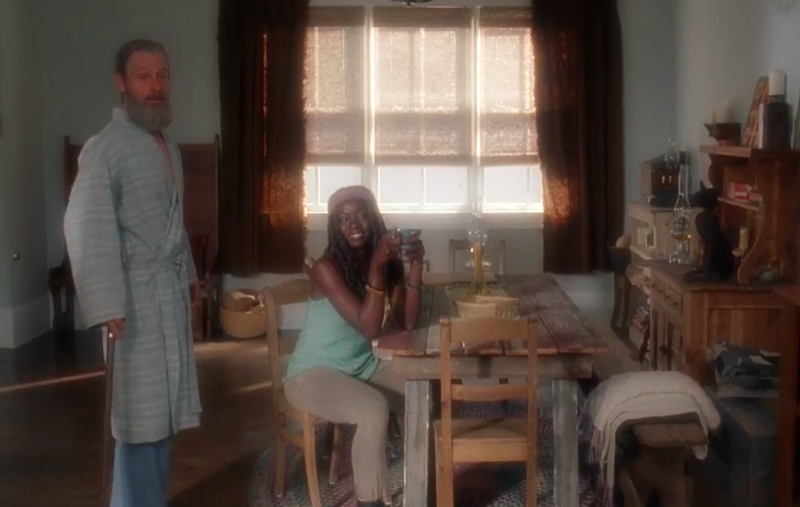 Why don't we have Old Lady Michonne to go along with Old Man Rick? Remember that weird flash-forward/dreamy vision popularized as the Old Man Rick sequence? Rick looks pretty ancient and chats with a little girl that could be Judith or Grace — who knows? 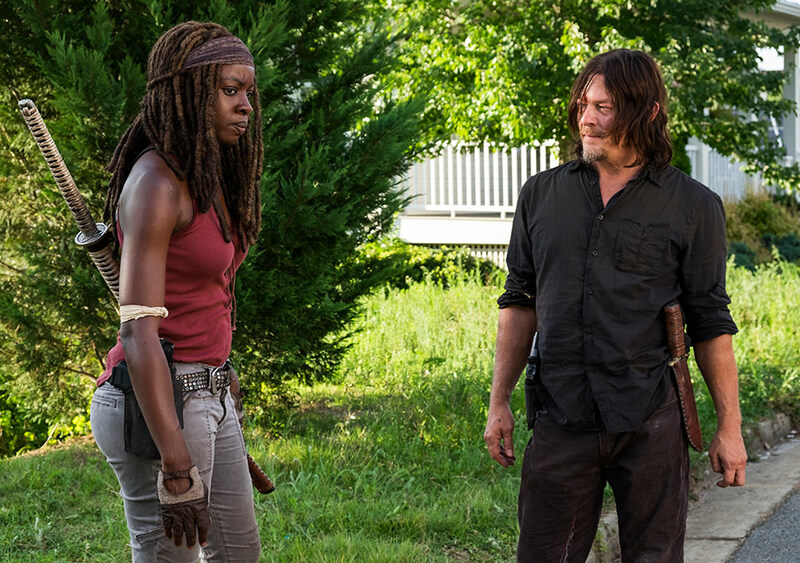 The thing is, despite Rick being super old, Carl and Michonne also appear, and they both look indistinguishable from their present-day selves. Does that mean they’re both actually ghosts, hallucinations, or some kind of vision that Old Man Rick has of people? What if none of it is real because everyone is dead? For all we know, the little girl — whoever she is — might not be real either. Over in the comics, Carl takes on a prominent role as a leader, while his father takes something of a back seat, so his death in the mid-season finale comes as something of a huge surprise. “Yes, Carl is going to die,” the actor Chandler Riggs did say to the Hollywood Reporter. “There’s no way he can get back from that. His story is definitely coming to an end.” He also said his last episode was the mid-season finale that will air on February 25, 2018. But in a real-life media landscape where we were told over and over that Jon Snow was dead yet he came back, can we really trust what the future has in store? They could be spinning the story one way for the media to deliver a shocker much later. Granted, The Walking Dead does have a bit of a history with treating its actors poorly. Emily Kinney, who played Beth Greene on the show, suffered a similarly abrupt exit several years back after investing years into the show. Rick’s spent most of this season shouting to anybody who will listen about how he’s going to kill Negan, so much so that we could hardly believe he might ever actually show mercy. Remember that in the Season 8 premiere, the Old Man Rick scenes were intercut with a crazed, bloodshot Rick murmuring, “My mercy prevails over my wrath.” Does he come to show mercy and hallucinate a bright future for himself? It would make a lot of sense. A through line that has been presented — especially in this most recent episode — is the idea that Carl might hold the key to restoring Rick’s faith in humanity, and the idea that people are redeemable. Carl once used to be pretty murderous, but as we’ve watched him grow up, he’s somehow become a genuinely good person who’s willing to give Siddiq the benefit of the doubt rather than shoot first, ask questions later like his father. Carl’s death will probably play out like a noble sacrifice, prompting Rick to change his course for the better. It would make a lot of sense if Rick realizes he needs to spare Negan’s life rather than take it, and all because of his son’s nobility. Rick might lose everything by the end of this season, and it could make all the difference for morality on a show that more often than not has none. The Walking Dead returns to AMC on Sunday, February 25 at 9 p.m. Eastern.